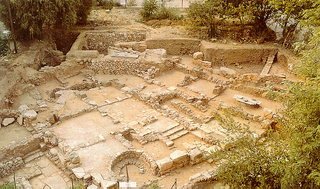 Chania, identified with the ancient city of Kydonia, was one of the most important cities of the Minoan period. Since 1966, the 25th Ephorate of Prehistoric and Classical Antiquities has been conducting salvage and systematic excavations, while an important part of the city is excavated in collaboration with the Swedish Archaeological Institute in Athens. Some of the most important finds from the city are exhibited in the Archaeological Museum of Chania.